North East Heritage With Orissa tour is well-designed to help you get close to the rich heritage of north east destinations and Orissa. This journey is of 12 nights and 13 days, starting from Kolkata, all the way to Guwahati, Kaziranga, Jorhat, Bhubaneshwar, and Puri. This tour package is perfect for tourists looking for a single trip that fulfills various tour themes like adventure, religious, and sightseeing activities. You can also come across the locals and enjoy the delectable taste of various cities. 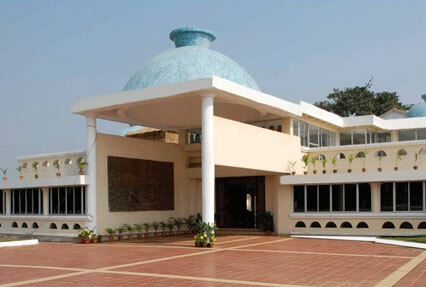 Guided tour to Ganeshguri, Guwahati War Cemetery, Guwahati Planetarium, Assam State Museum, Ugro Tara Temple, etc. On your arrival at the Kolkata Airport/Railway station, our representative will be there to receive you and transfer you to your hotel. Freshen up. You have this day to enjoy leisure activities or simply take a walk to the nearby local market. You can also enjoy the scrumptious street food and interact with locals. Return to the hotel for an overnight stay. Early morning, post breakfast, get ready to take pleasure in the city tour. 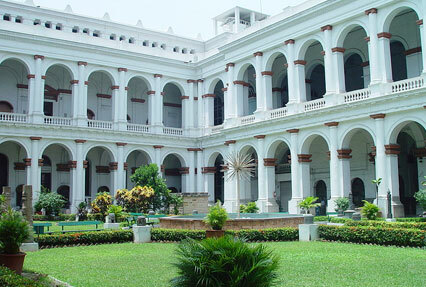 This day is completely for excursions to the popular attractions of Kolkata. Visit the Howrah Bridge, Fort Williams, Birla Planetarium, Secretariat Building Victoria Memorial and the Old Court House Street. After full day of expedition to various tourist attractions of the city, return to your hotel for an overnight stay. You will be transferred to the Kolkata airport to board the connecting flight for Guwahati. On arrival at Guwahati Airport, you will be welcomed by the representative and transferred to your hotel. Freshen up and have a little rest. 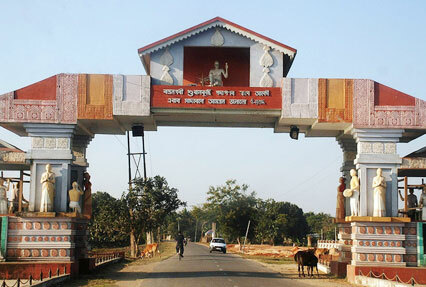 In the evening, get ready to visit Sualkuchi Village that is located at a distance of 32km from Guwahati. This place is known for producing the finest variants of silk such as Eri, Golden Muga, and White Pat. If you want, you can also purchase. Return to your hotel for an overnight stay. Start your morning with a sightseeing tour of Guwahati city and later proceed to Kaziranga National Park (5 hours drive). During the sightseeing, you can visit Ganeshguri, Guwahati War Cemetery, Guwahati Planetarium, Assam State Museum, Ugro Tara Temple, etc. 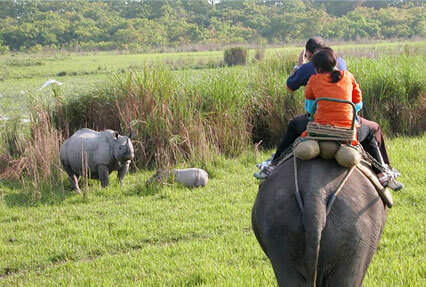 On the way to Kaziranga National Park, you can view some of the eye pleasing sights. Reach and check-in to the Wildlife Resort. Freshen up. You can use the rest of the day for leisure walks around the resort. Nightlong stay at the Wildlife Resort. Enjoy Elephant Safari in the morning. The ambiance is synonymous with adventure. Here you can witness one Horned Rhinos performing their natural activities. The beautiful wildlife makes this park one of the finest in the entire Southern Asia. Along with the Indian rhinoceros, you will also find the population of various other threatened species. In the afternoon you can take pleasure in viewing wildlife by Jeep Safari. Return to the Wildlife Resort for an overnight stay. Early morning leave for Jorhat, 88 Km from Kaziranga National Park. This drive of about 2 hours and 30 minutes (approx) will help you to see some of the attention-getting sights. Reach and check-in to Heritage Tea Bungalow. Freshen up and you can use the evening to explore the historic town including monuments, palaces, temple etc. Return to the Tea Bungalow for an overnight stay. Early morning tour to Tea Estate. 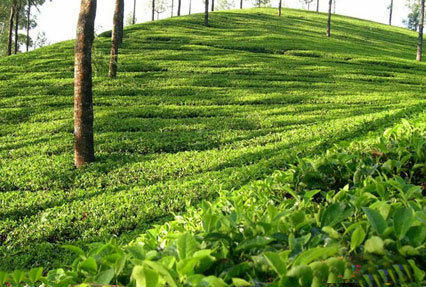 Here you can witness the golden tea leaves planted over a vast area of land. You can also enjoy witnessing the entire procedure of processing of tea. In the afternoon, you will be transferred to the airport to board the flight for Kolkata. At Kolkata you will be welcomed by the representative and transferred to the hotel. All-night stay at the hotel. Early morning you will be transferred to Kolkata Airport to board the flight for Bhubaneshwar. On arrival at the airport, you will be welcomed by the representative and transferred to the hotel. Freshen up and take a little rest. In the afternoon, you can enjoy the sightseeing tour of Bhubaneshwar city. This sightseeing would include an excursion to temples which would include a visit to the oldest temple in Bhubaneshwar, Lingaraj Temple. Enjoy leisurely walks on the streets of Bhubaneshwar. Return to your hotel for an overnight stay. This day will be dedicated for expedition to Buddhist monasteries, namely Lalitgiri, Ratnagiri and Udayagiri. Lalitgiri is the complex of Buddhist engraved Stupas, huge sculptures and monasteries. Udaygiri has a large compound where veranda is arranged around a courtyard of 18 cells. Excellent sculptures at the Ratnagiri are again a source of attraction. In these sculptures you will find multi-colored stones. After enjoying the magnificent aura of the Buddhist monasteries, return to your hotel for overnight stay. Early morning, you will leave for Puri that is located at a distance of 65 km. This would take around 2 hours drive to reach Puri. Arrive and check-in to your hotel. Freshen up and take a little rest. Later in the afternoon, you will go for the sightseeing tours that would include Gundicha Temple, Jagannath Temple and Raghurajpur, popularly known as artisan’s village. Return to your hotel for an overnight stay. In the morning, you will have to take 2 hours of drive to reach Konark (100 km). At Konark, you will visit the famous Sun Temple. This temple dates back to the 13th century and was designed as Surya’s gigantic chariot that has 12 pairs of ornamented wheels and 7 horses to pull the chariot. After enjoying the specimen of fine art & architecture, make a visit to the Fisher Man’s village. Return to your hotel for an overnight stay. You have this entire day to relax on the Puri beach and spend the full day at leisure. At the beach, you can enjoy various sports. You can visit the local markets and buy varieties of handicrafts, jewelry and clothes. As this place is of great significance according to the Hindu mythology, you can also visit some of the sacred places. Later, you can also explore the lanes of Puri, enjoy the delicious street food, interact with the locals, etc. Return to your hotel for nightlong stay. Early in the morning, you will drive to Bhubaneshwar Airport to board the flight to Kolkata. After reaching Kolkata, you can continue your onward journey via flight or train.